Let’s enhance your room with this gorgeous Indian Bukhara design pattern which is very traditional and make in pure New Zealand wool.It will definitely convert your simple room into the traditional and attractive. - 4' X 6' is the perfect size for any room. This is the medium size. - The Indian Bukhara carpet is in this size with a very decorative design pattern. - It has a beautiful red ground with little circle motifs. IT has taken approximately 8-9 months to weave. 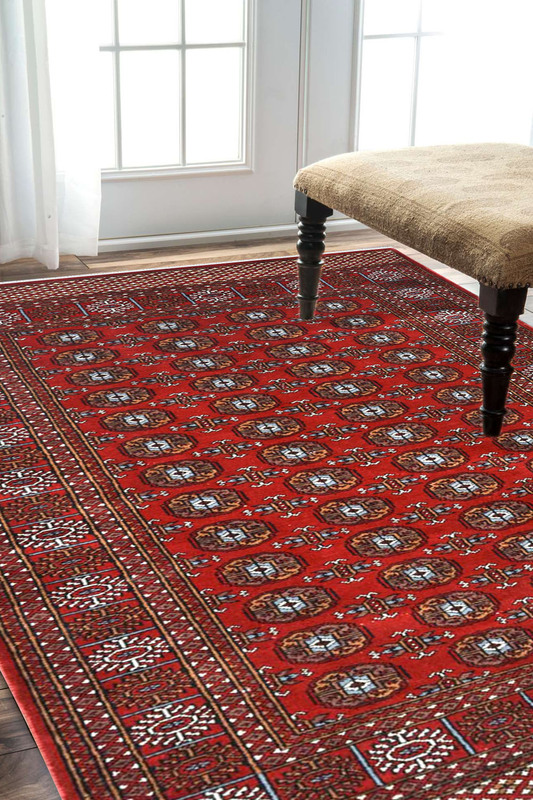 - Red color carpets are very demanded in the market. - This carpet is in Bukhara design and handcrafted by our skilled weavers in India. This is suitable for living room.